More than 1 million people marched on April 22. (Read more about the number crunching on the March for Science blog .) 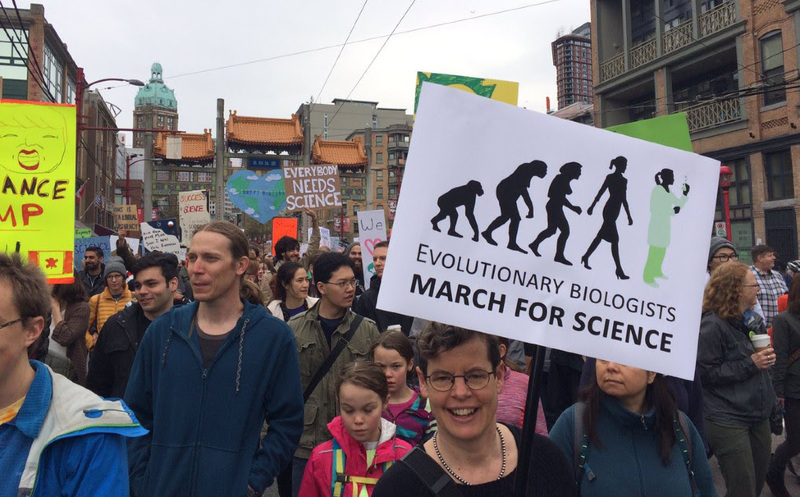 Here is Sally Otto, SSE President, at the Vancouver march. To stay involved in advocating for science, check out the AAAS Force for Science  page and the new March for Science  website.